These courses are approved by the Texas Alcoholic Beverage Commission TABC and meet the certification requirements of all Texas employers, cities and counties. The TABC Texas Responsible Serving Certification is not mandatory, however most employers require bartenders, seller servers and cashiers in the restaurant food and beverage industry to be “TABC Certified”, which means the employee must take and pass this seller/server alcohol awareness training program. How do I get a bartender permit, license or card in Texas? 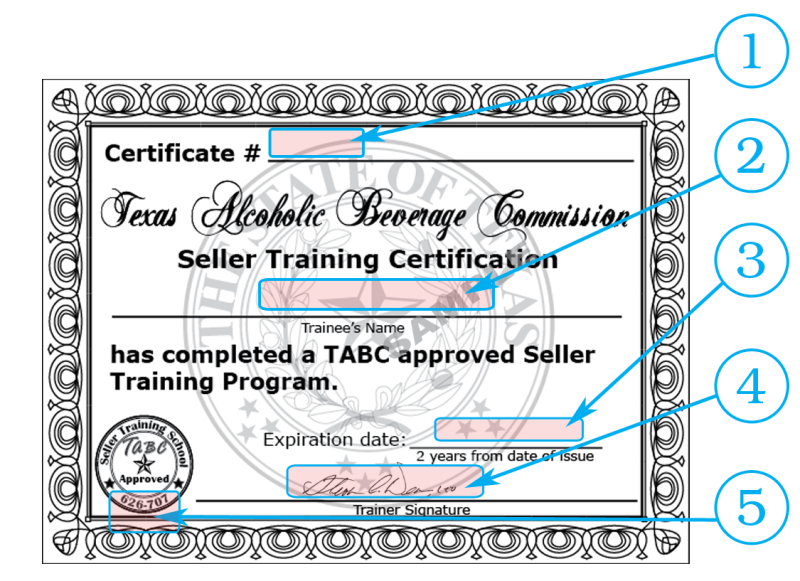 How long is a TABC certificate good for? A Texas Alcoholic Beverage Commission (TABC) certification is valid for two years from the date of course completion. online course and passing the online exam again.